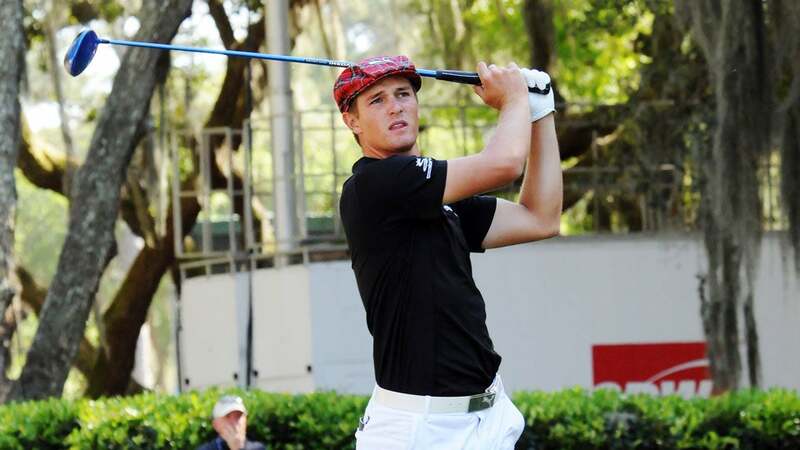 HILTON HEAD ISLAND, S.C.—What I like about Bryson DeChambeau, among many things, is that he aims high. He had just finished off a closing 68 in the RBC Heritage and guaranteed himself a big check. It turned out to be a tie for fourth. He was going to be in a two-way tie for fifth and win $224,200 until Jason Kokrak botched the 18th hole from the fairway, blocking his approach shot way right and making a double. That lifted DeChambeau into a tie for fourth with Kevin Na and a check for $259,600. Most players would be doing the math. Let's see, that big check leaves me barely $400,000 short of getting my temporary PGA Tour membership and hey, that's outstanding after just one event. Also, another player in this scenario might would be talking about how the top-ten finish gets him into next week's Valero Texas Open. Well, DeChambeau was already in the field there on a sponsor's exemption. Now he can save that exemption and get an extra start. Another big bonus, right? DeChambeau, standing behind the 18th green at Harbour Town Golf Links after his round, was having none of that. He's aiming higher. Even if he's just blowing smoke, and I have no reason to think he is, his approach is smart. Don't count the dollars or the exemptions, just count the number of players you beat. Just play golf. Asked about the check, DeChambeau dismissed it. "It's not about that," he said. "It's more about winning championships and doing my best out there each and every shot. If I accomplish that, that's all that matters. If that gives me my card, great. If it doesn't, great. I'm not worried about that. I'm worried about doing the best I can." Beat the golf course, play your best. The rest is irrelevant. It's a nice way to simplify the game. He already signed a nice deal with Cobra-Puma last week so money isn't an issue for him, except I the sense that he needs to win about $650,000 (125th on last year's money list was $647,000) to earn exempt status. It was an impressive start to DeChambeau's pro career. He played in the Masters as the reigning U.S. Amateur champion and finished as low amateur. He left Southern Methodist University after the school was sanctioned for coaching violations. Now he's playing for money and trying to claw his way onto the tour. Sunday's round was his best. He made three birdies on the front nine, scored a key birdie at the par-5 15th and then parred the last three holes, no small feat at the Harbour Town Golf Links. A 68 is always a good finish at Harbour Town in the wind. 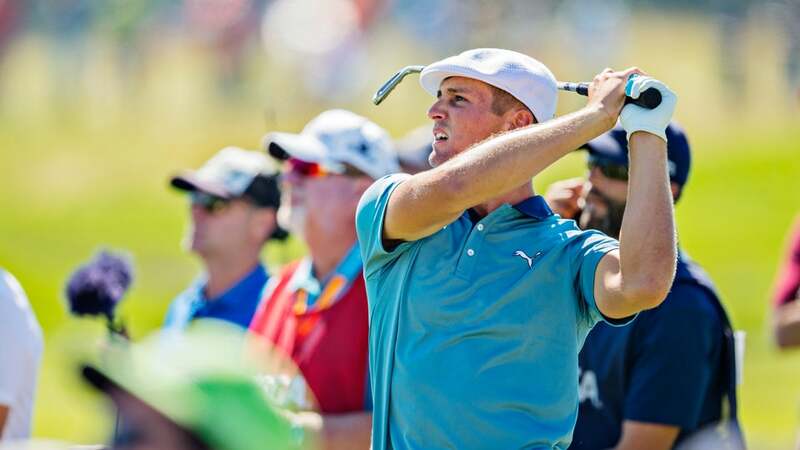 "I putted a lot better today than the last few days," said DeChambeau, 22. "Unfortunately, my driver was kind of giving out today. I'll work on that next week. It was definitely fun to see some putts go in." DeChambeau is thorough in his preparation. He said he played in a number of pro events while an amateur just to prepare himself when he got out here as a pro and wouldn't be overwhelmed. Well, that part of the plan obviously worked. You already know his story about the unusual equipment and his one-plane swing. All his irons are the same length, a scientifically fascinating theory and one that doesn't conform with standard golf theory. He's blazing a trail there. He also has some unique ideas about putting that he may break out once he’s established on the PGA Tour, which just about every observer figures is inevitable, given his skill level. After one week, he may be close to being one himself. That’s an impressive debut. At times, he showed the game and poise of a PGA Tour winner. At other times, he didn’t look as sharp. Some of his wedge play was spotty and, as he noted, his putting the first three rounds was mediocre. Still, he has already made himself a recognizable brand by wearing that Hogan-style cap whenever he plays. It’s his “cape,” he said earlier, a way to get into tournament golf mode. It? He means winning, of course. That’s why he is here. Fifth place at the RBC Heritage was a good start… but he aims to do better next time. That’s just who he is.